This South African driver should probably buy a Camry. 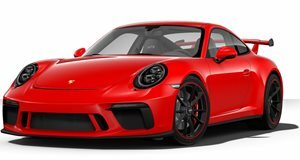 While the Porsche 911 GT3 has recently had its fair share of problems, with a rash of spontaneous fires leading Porsche to recall the model and replace all engines worldwide, this video out of South Africa contains a completely different kind of debacle. YouTube user Craig Schelin says he was following this GT3 on a run-of-the-mill test drive, when the driver attempted to pull off a heavy launch at a traffic light and ended up with a result he didn't bargain for, like repair bills. As we see it, this guy should head over to a Toyota dealership for his next test drive and stick with something more up his alley.